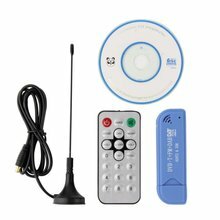 It is an Android app that decodes AIS messages transmitted by vessels , ships, over radio using a cheap USB DVB-T /RTL-SDR stick. AIS messages are transmitted over VHF. The app decodes both channels simultaneously. This app needs no internet connection, it decodes the real time received messages. This is a truly standalone full featured AIS receiver. The received messages will be translated into NMEA0183 strings which can be forwarded then via UDP or TCP streaming to third-party apps, PC programs or other devices. Such Apps can display the received AIS data for example on a map along with information about the received objects. Please note: The app needs additional (very cheap) hardware to receive the radio signals. 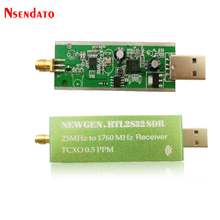 Search for RTL2832U / 820T / 820T2 USB stick. I recommend dongles which are more expensive but PPM is 0 or 1. There are two apps available in the Google Play Store. This is the driver app, it’s needed in any case. In the driver app there is demo/test mode implemented mainly to test the app if your hardware is compatible. Please use this demo mode before you buy the full version. The demo mode is limited to 1000 received messages. Why this driver app ? then your Android device can successfully communicate with the USB dongle. Your Hardware is compatible.If you installed the APP the first time, the settings for statistic is enabled. The demo mode is limited so far for 1000 messages (chan A OR chan B). The demo mode has no WiFi wake lock. The demo mode can share data only to one client. The demo mode can not share GPS position data. This is the full version of the app. Also GPS data can be forwarded to a client (UDP). In any case you need to install the RTL SDR AIS DRIVER app first. Settings you may choose in the in the RTL SDR AIS DRIVER app will not be considered with this app. You need to configure your settings in this APP. Install driver app from Google PlayTM store. As UDP HOST enter the IP Adress of the device you want to share the data to. ( so the IP Adress of the partner )For TCP sharing, just enter a port number the Android device is listen to. with the pink floating action button. AIS,UDP,TCP,GPS,INT –> all internal modules are ready. Watch out if you receive messages. In both apps RTL SDR DRIVER and AIS SHARE there is a setting page. Most important setting is the PPM settings. Nearly 99% of the USB dongle needs a frequency correction value. This value is different for every dongle. The frequency for AIS is Channel A: 161.975 MHz and Channel B: 162.025 MHz. Because each dongle has a frequency drift, without correction the software is basically not tuned on this frequency. As a result you won’t receive messages. With “High Quality” sticks it is more easy. Search for 0.5 PPM TCXO RTL-SDR dongles. All these dongles have fix PPM Settings of 1. This could be a problem if you want to share AIS data to external device. YES, my driver app is tuned to AIS message reception. AIS Share will not work without my driver app. Check PPM settings. In 99% this is the reason. Check if you use a high quality cable. Do you use a USB extension cable ? Try it without it. Many thanks to Harmen Meijer for testing and tips. THIS SOFTWARE IS PROVIDED BY THE REGENTS AND CONTRIBUTORS “AS IS” AND ANY EXPRESS OR IMPLIED WARRANTIES, INCLUDING, BUT NOT LIMITED TO, THE IMPLIED WARRANTIES OF MERCHANTABILITY AND FITNESS FOR A PARTICULAR PURPOSE ARE DISCLAIMED. IN NO EVENT SHALL THE REGENTS OR CONTRIBUTORS BE LIABLE FOR ANY DIRECT, INDIRECT, INCIDENTAL, SPECIAL, EXEMPLARY, OR CONSEQUENTIAL DAMAGES (INCLUDING, BUT NOT LIMITED TO, PROCUREMENT OF SUBSTITUTE GOODS OR SERVICES; LOSS OF USE, DATA, OR PROFITS; OR BUSINESS INTERRUPTION) HOWEVER CAUSED AND ON ANY THEORY OF LIABILITY, WHETHER IN CONTRACT, STRICT LIABILITY, OR TORT (INCLUDING NEGLIGENCE OR OTHERWISE) ARISING IN ANY WAY OUT OF THE USE OF THIS SOFTWARE, EVEN IF ADVISED OF THE POSSIBILITY OF SUCH DAMAGE. DO NOT rely upon AIS Share for safety of life or property. @ AIS 1 – 161,975 MHz (Kanal 87B) AIS 2 – 162,025 MHz (Kanal 88B)communication is maybe illegal. Please inform your self before you use this app in combination with a USB DVB Tongle. Never use this app or the generated data for communication purpose.